For the next month our lives revolve around sunset, when we can eat again. I’ll admit I sometimes cheat, but I do my best to share the experience with the husband. I think he appreciates having someone to starve fast with. The usual dinner fare doesn’t quite cut it, I agree with him on this. During Ramadan we eat more of the traditional Syrian food my husband grew up with. One dish we eat during Ramadan is Fatteh. It’s a layered dish, and generally consists of some sort of shredded or toasted bread pieces, layered with some broth or stock, and a mixture of yogurt and tahini. I depend on the husband to do all the calculating and mixing, but I’ve noticed we each like it a little different. Here is a very loose interpretation of a recipe….should you choose to experience it for yourself. chickpeas/garbanzo beans… a big can. Or a small can. Whatever you like. Crushed garlic….again, as much as you like. Salt and pepper… however you like it. Assemble ingredients about an hour before sunset, ignoring the burning as your stomach tries to digest itself. Look at the clock. Sigh. Squeeze your lemon into a small container, set aside. grab a bowl to mix the tahini and yogurt together. Chop the parsley, and peel the pomegranate if you didn’t buy the ready to eat seeds from trader joe’s. Break the pita bread into small pieces into a glass dish, somewhat bigger than 8×8, and smaller than 9×13. Mix the yogurt and tahini…. 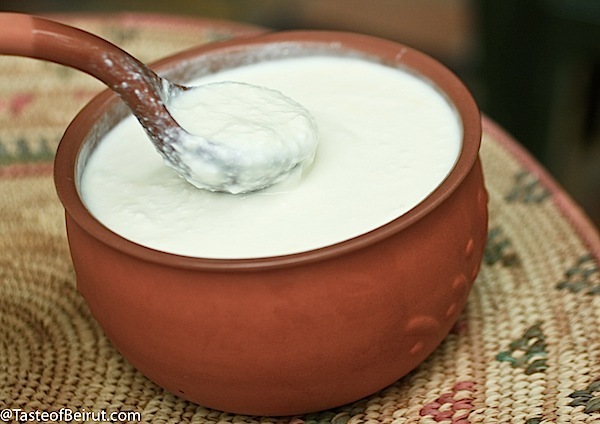 a LOT more yogurt than tahini…. like maybe 16 oz yogurt to 3 oz tahini…. but honestly it’s not exact, just do what feels right. Add crushed garlic. somewhere between 1-3 cloves…. or what you want. Add lemon juice. Add salt and pepper. Try to smell how it tastes because you can’t taste it yet. stir up really well, test consistency. should be thicker than gravy, thinner than mud. Set aside. Remove chickpeas from the stove… should be just enough water left so they aren’t fully covered. Pour over toasted pita bread, move bread around to get it all covered. Then pour yogurt concoction on top. don’t mix fully…but move a spoon around so it can also get through the layers but stays mostly on top. Pour the hot butter and nuts on top…. the husband likes to spread it all around so every bit is covered. garnish with little mounds of parsley and pomegranate seeds. By the time we are putting together the fatteh, I am officially hangry. I have no patience for anything. I have no sense of humor. I don’t care what channel the Cavs game is on…. I just want to put this together and EAT IT. After being exposed to my short temper, and absent sense of humor…. the husband suggested that maybe I shouldn’t fast…….. Still on my cooking kick, trying out new recipes, usually healthy-ish…. Today, to prepare for Ramadan, I tried to make something Arabic to impress the husband. It’s actually one of MY favorite things, not so much his…..but I’m pretty sure he likes it. Maklube, or Maklouba, according to this recipe I found on Pinterest. There are a LOT of ways to make this dish. some with meat, some without. My favorite is with eggplant… It’s a layered dish, with your rice dividing layers of meat/veggies, whatever you put in it. There is a degree of technical difficulty, as you have to flip the whole thing over onto a plate and end up with a beautiful stack of yummy layers.Garnish with nuts/parsley and I like to eat it with yogurt as well. That’s pretty much all the information you can trust me for on this one, as I failed in this endeavor on many levels. Things started out well enough, until I used about 6 cups of oil to fry up one eggplant because the oil just kept disappearing with each eggplant slice I added to the pan. I did salt the slices like instructed, and also rinsed off the salt (which I guess I shouldn’t have) . I patted dry, but didn’t squeeze it dry….apparently this matters. I didn’t have cardamom, a key ingredient in the “spice mixture” used for the rice. I chose to plow ahead without. I realized the recipe I used was complete, but probably I needed many more instructions….it was most likely geared to someone who had a clue about Arabic cooking and didn’t need hand holding. At some point, I decided it must be done cooking…. so I turned off the burner and let it set about 15 minutes. Then I flipped it over onto a serving platter ever so carefully. Clearly, it was not done….but it was too late to put it back in the pan. I chose to continue on my path of dinner destruction. First, I drained the broth. 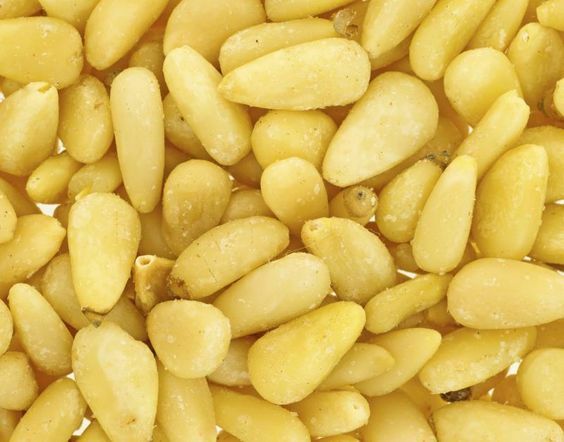 Then I added fresh parsley and almonds with pine nuts to mask the flavor garnish. It doesn’t actually look too bad…..
How did it taste? Perhaps I needed to remember salt…. and less oil. Hmmm, did I burn the eggplant? Maybe a slice, or two….. It wasn’t terrible…but it wasn’t great. Or even really good to be honest. The older kids got their dad to take them to dinner, and the poor little ones were stuck eating this with me. They made a valiant effort. I did save some for the husband, the majority went into the garbage as there was no way anyone is going to be looking for leftovers of this stuff. This is the actual photo from the recipe I used, from Chef Osama. He seems to know what he’s doing. I’ll try it again, because I love it (when other people make it). I think next time I’ll just ask one of our relatives who not only cooks it well, but is aware of my deficiencies in the kitchen….. so they can give me all the little secret steps that might have saved me from feeding my family a brick of greasy eggplant tonight. If I had to pick a favorite kind of food, it would be Indian or Thai. Unfortunately, cooking authentic Indian sauces requires a lot of ingredients and time and patience, most of which I lack. My neighbor is Indian and I once asked her if she knew how to make Matar Paneer, one of my favorites. She actually came over one day with a cute little bag of ingredients and cooked it FOR me. I watched, and wished I could have had the foresight to record her efforts on video because I will NEVER be able to duplicate it. Thankfully, we have a great Indian place close by that can cater to my cravings and it’s only too spicy about 50% of the time…. Thai is another love. The peanut sauce….. it’s sooooooo good. With my newfound calorie awareness, I was really excited when I stumbled across a recipe for Thai Chicken Skewers on Pinterest. There is this stuff called PB2. Powdered peanut butter…. it has 85% LESS fat calories than the good old peanut butter that I love eat off the spoon. Two tablespoons of powder has only 45 calories! It’s just powdered peanuts, pressed to squeeze out the fat and oil. Anyway, that is how the peanut sauce in this recipe can taste so good, and also not kill you with extra calories. I got mine from Amazon, but I guess plenty of health food and even regular grocery stores carry it. So here are the ingredients from emilybites.com, I highly recommend checking it, and her other recipes out. It’s so fast just to throw it all together. I double the amounts, using it for chicken, veggies, tofu. Great flavor even without marinating for longer than 20 minutes. Oh, the sauce……. it’s great on everything. You can play with the proportions, make it spicy or more mild to your taste. My kids love it. I love it. Life is good. I wanted to grill something for dinner. Had it all planned in my head, but my kitchen wasn’t producing the quick bottle of marinade or BBQ sauce I required. Pondered going to the store, decided I was just too lazy to leave the house again, and turned to Pinterest for something I could throw together fast with things I already had in my kitchen. My laziness paid off, in spades. You are welcome. Enter an amazing, delicious, FAST marinade for pretty much anything you want to throw it on.It’s called Easy grilled chicken, and it is really great on chicken…but I also used it on zucchini, red peppers, and tofu. This list is literally copied and pasted from the recipe at damndelicious.net. I did take some creative liberties with what I had on hand. Such as Balsamic salad dressing instead of balsamic vinegar. Stone ground mustard instead of Dijon. Dried parsley instead of fresh. I also just eyeballed amount of each ingredient to use, as I was still too lazy to dirty any measuring spoons…. Hmmm, I’m not sure I even used rosemary, I think I used basil instead. Whatever. It was amazing. You can literally throw these things together and they will come out as a delicious way to season anything you want to grill. Try it! I didn’t even have to let the food soak up the flavor, stick it all together and let the chicken or veggies sit 15 minutes then BAM, on the grill. Here’s another gem, if you are into sweet/salty/bitter things. You need watermelon, feta cheese, sunflower seeds (I used roasted/salted), and olives. This time I used a mix of green and black. You need the kind that make you pucker when you eat them, pits are usually not removed. Just put it together according to your taste.